Dishwashers are normally installed in close proximately to the kitchen sink. The water supply line for a dishwasher is run directly from the hot water supply line that also supplies the kitchen sink. Likewise the drain hose for the dishwasher connects into the drain for the kitchen sink. A problem with either the dishwasher or the kitchen sink could lead to problems with the other fixture or appliance. If the drain for the kitchen sink becomes clogged the water from the dishwasher may not drain properly and can backup onto your kitchen floor. Dishwasher supply lines are under a lot of pressure and have been known to leak, break, or burst. This can be caused by improper installation or defective manufacturing of the supply line. 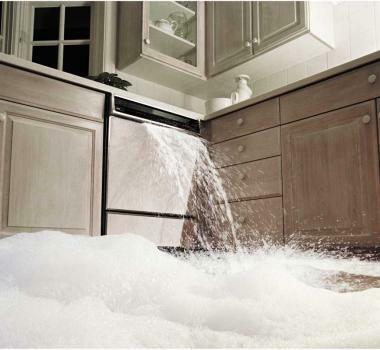 When this happens water can flood your home in a matter of minutes. 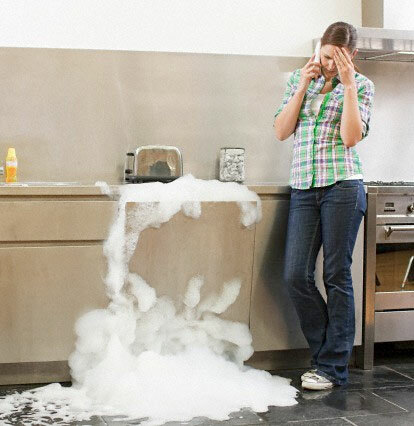 In the event of a dishwasher supply line break it is a good idea to turn off the water as soon as possible. The shut-off valves for dishwasher supply lines are located underneath the kitchen sink. This valve is a three-way valve that connects to the hot water supply line and supplies hot water to both the dishwasher and kitchen sink. When this valve is closed, water will not flow to either the dishwasher or kitchen sink. If you cannot access or find the shut-off valve for the dishwasher you will have to use the main shut off valve for your home until the problem is resolved. These problems can be major inconveniences but generally do not qualify as plumbing emergencies. 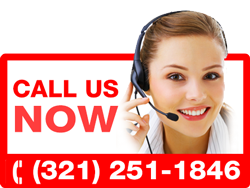 Our network of professional plumbers also includes individuals who are qualified in appliance repair. Whether it is your dishwasher, washing machine, or water softener we can connect you with the right people to fix your problem.